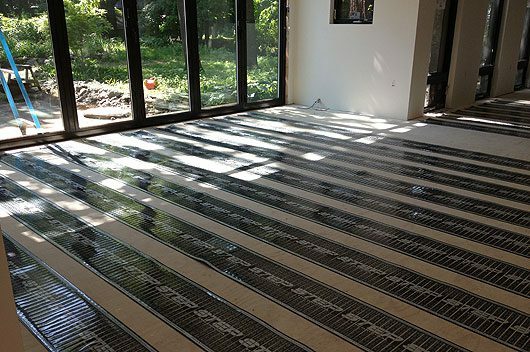 We installed radiant heat beneath the wood floor to help maintain a constant room temperature. This electric source of heat is a low-energy approach to warming the objects in the Old Oak Dojo, rather than the air. It also makes floor activities—such as yoga and other movement practices—more comfortable and cozy. To address extreme cold, we installed electric baseboard heaters for auxiliary heat. There are no combustion appliances in Dojo.